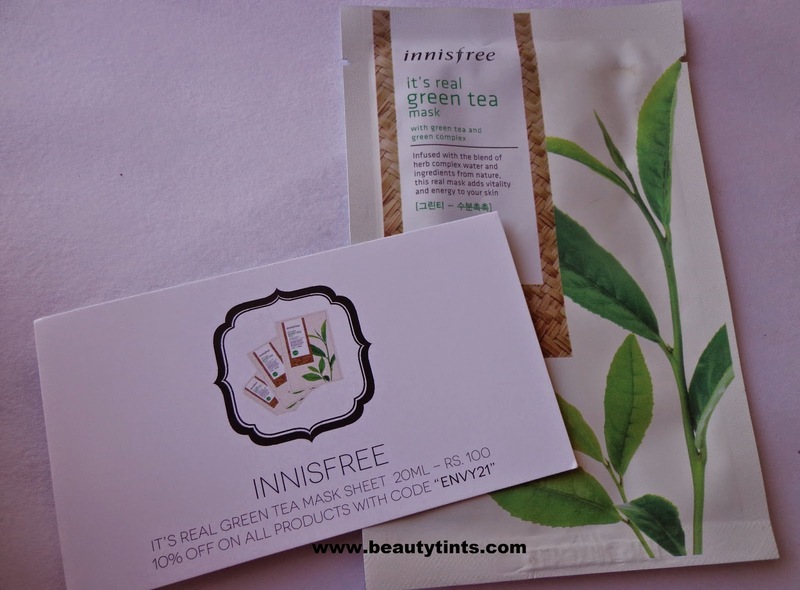 Today I am reviewing my favorite Innisfree It's Real Green Tea Mask,which I received in October edition of 'My Envy Box'.I thought of trying it from long back,but I did not get a chance to try it before.I love sheet masks as they are very comfortable to use in a jiffy as well as give instant results.These are one of the best options for people on the go. 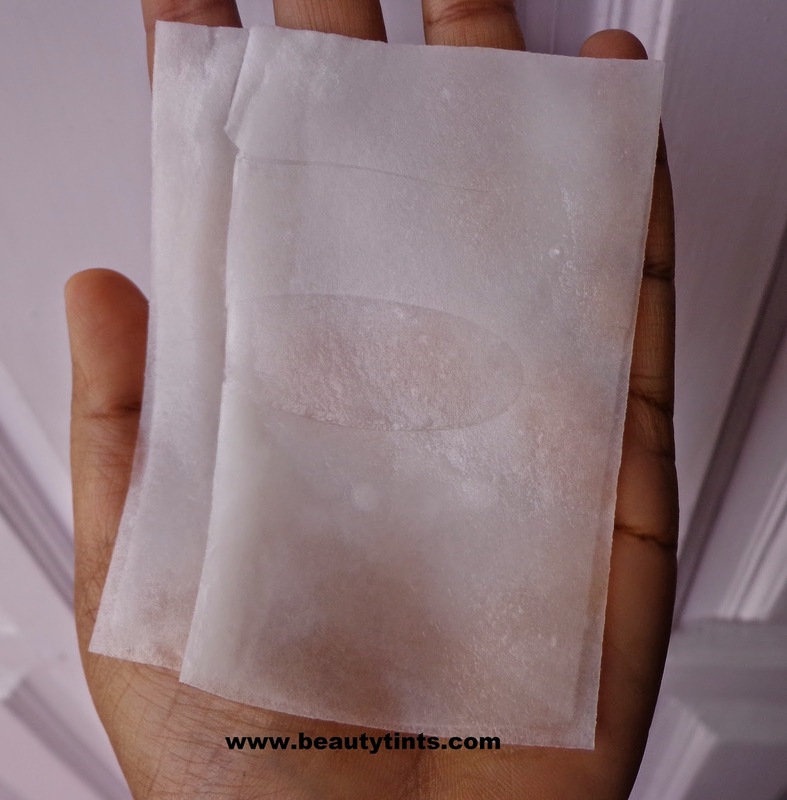 Packaging : Like all other sheet masks,this mask also comes in a perfectly sealed foiled sachet. Color and Texture : This is a cotton sheet with holes cut out for eyes,nose and mouth,also with flaps in the eye area. Soothing and moisturizing with extracted green tea.Jeju green complex - Green tea, Tangerine, White lotus, Camelia, Orchid. 3 layered sheet for long time moisturizing with great adherence.Infused with the blend of herb complex water and ingredients from nature,its real mask adds vitality and energy to your skin. Availability : Available from here. 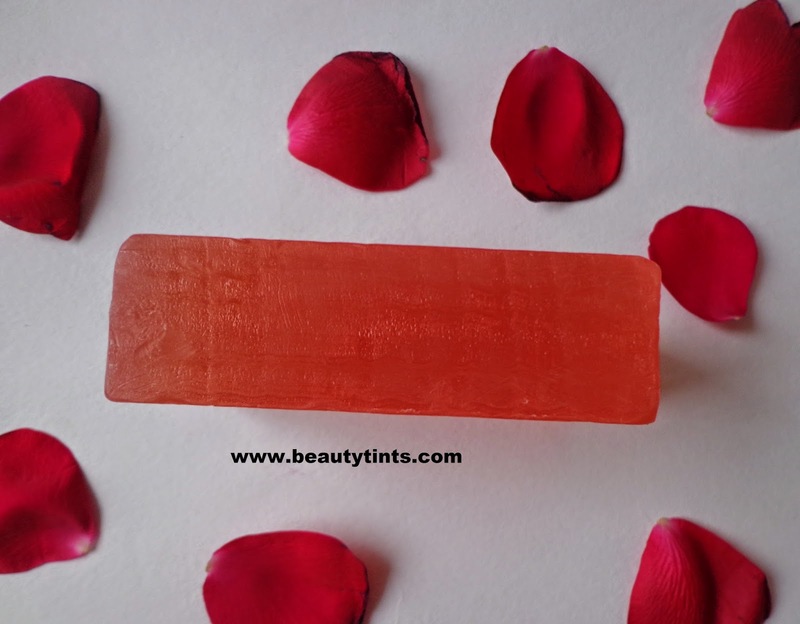 Ingredients : water,glycerin,butylene glycol,nelumbo nucifera flower water,lilium candidum flower water,lavendula angustifolia flower extract,PEG?PPG-17/6 co polymer,Alcohol,betaine,citrus paradisi fruit extract,Xanthum gum,PEG-60,hygrogenated castor oil,Camellia sinensis leaf extract,di sodium EDTA<phenoxy ethanol,fragrance,sodium hyaluronate,citrus unshu peel extract,opuntia cocconellifera fruit extract,camellia japonica leaf exract,orchid extract. 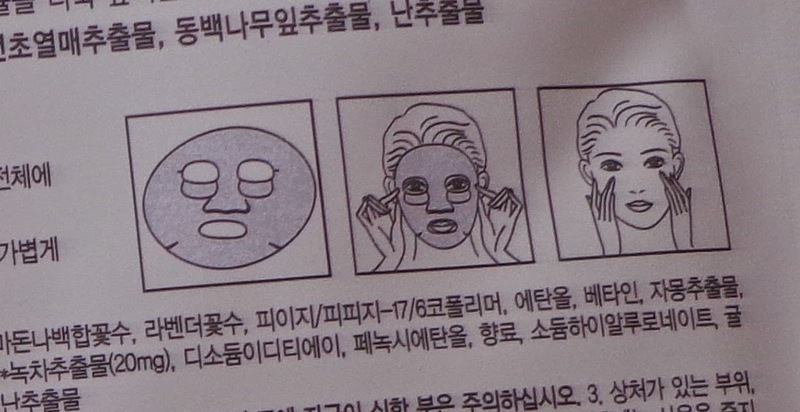 Directions for use : Adjust the skin texture with toner after first washing the face. 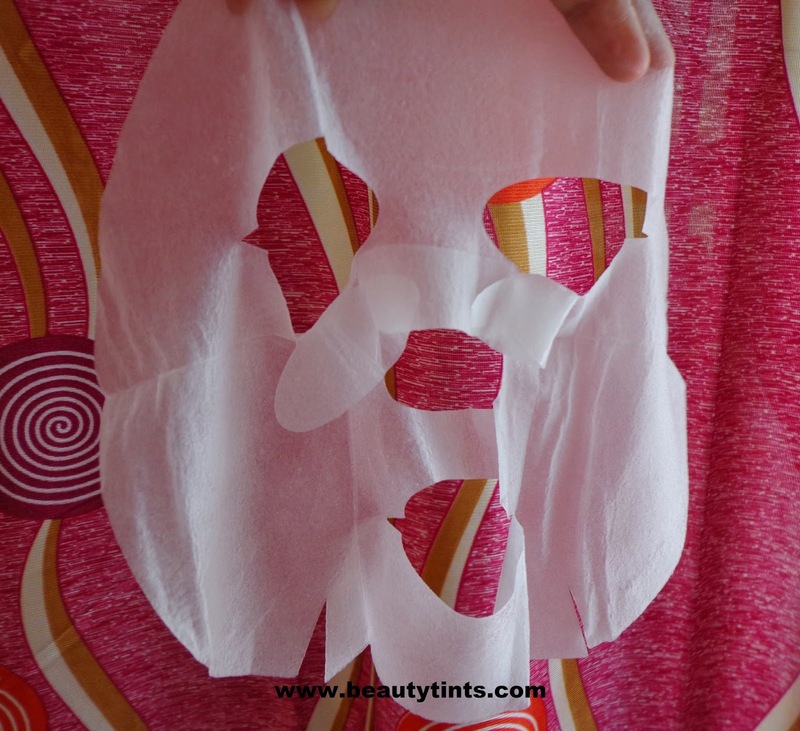 Take out the mask and apply evenly over the entire face, taking care not to cover the eyes and mouth. Leave it for 10-20 minutes, take off the sheet and then dab the remaining essence gently for it to be absorbed. 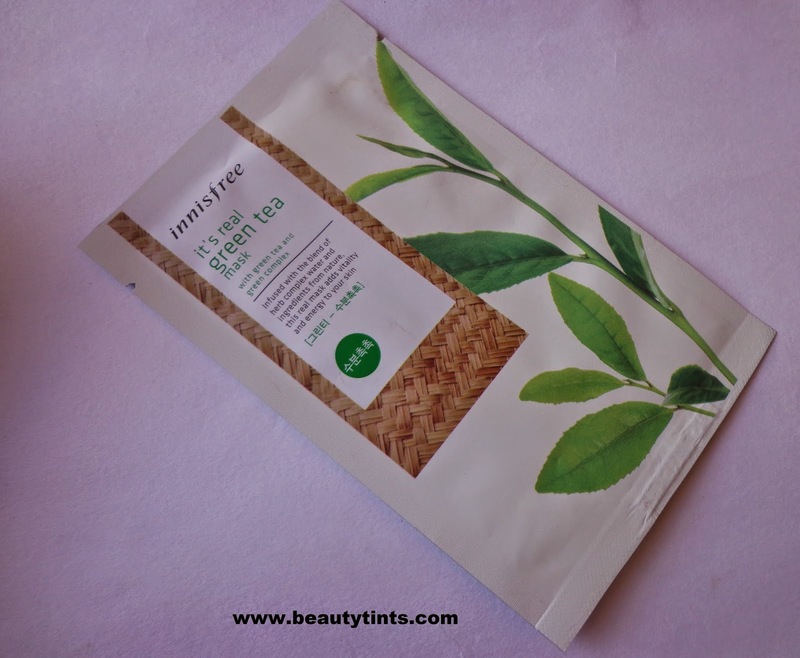 This mask is comparatively bigger in size than the other sheet masks I have used so far.It has a mild alcoholic fragrance,which fades away after applying it on to the face.I love to keep it for more than 20 mins,as it is very soothing and relaxing.But if you have any break outs or cuts,it irritates a lot.After keeping it for more than 20 minutes,it still have some serum in it,which we need to to dab it on the face,after removing the sheet,so that it gets absorbed into the skin.You need to rinse the face after using it as it gives a bit of sticky feel .It is best to use it before going to bed,so that skin gets enough time to absorb the essence.It makes skin instantly clean and soft.It also gives a good dose of hydration to the skin.But I did not observe any noticeable change.This mask acts as a good deep cleansing and hydrating mask.It is quite reasonable when compared to other sheet masks. 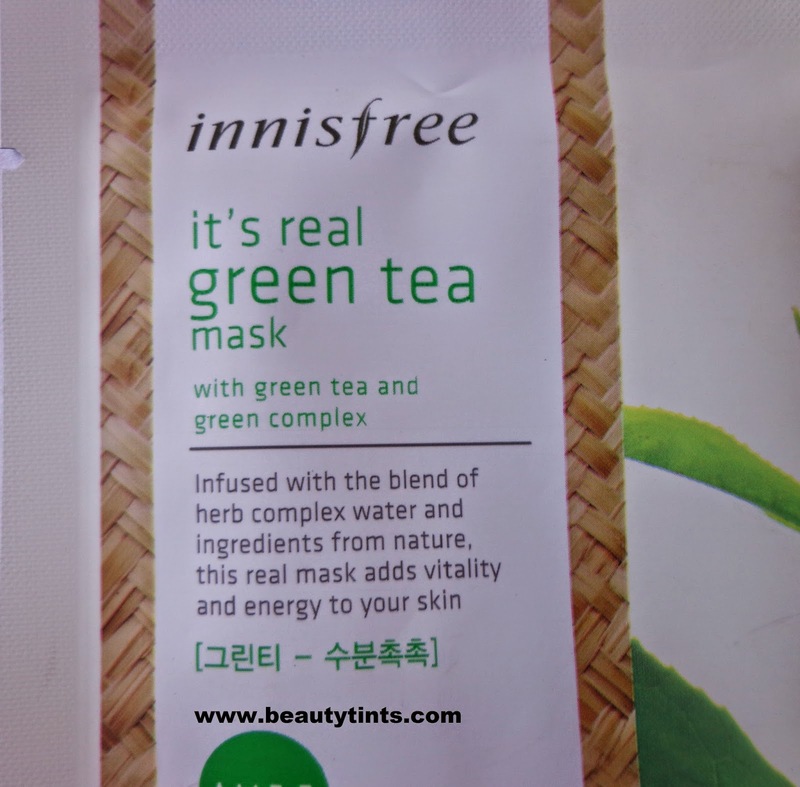 Final Conclusion about Innisfree It's Real Green Tea Mask: If you are looking for a good clean up as well as hydrating mask,this mask serves well, but if you are looking for some brightening effect or whitening,then this mask is not for you!! !